Especially in the Los Angeles area, it is quite true that a large number of dental procedures elected by patients are strictly for cosmetic reasons. In the land of TV-ready smiles, it is understandable that many people would sometimes prioritize the look of their smile over anything else. However, it is important to note that the health of your gums, the primary concern of any Santa Monica periodontist, can be directly tied to your overall health. At Beverly Hills Periodontics & Dental Implant Center, Dr. Peiman Soleymani and his staff use the most advanced periodontal approaches to ensure that each patient’s gum health is contributing positively to their overall health. In fact, periodontal disease has been tied to increased risks of diabetes, heart disease, osteoporosis, and certain types of cancer. Research has also determined that diabetic patients are more likely to develop periodontal disease, so it is especially important that diabetic patients make regular appointments with a periodontist. In addition to top-notch periodontal care, Dr. Soleymani and his staff are also able to perform dental implants for Beverly Hills patients in need of a complete smile. 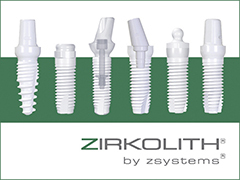 This is especially useful, considering the number of general dentists on Los Angeles that do not perform these implants themselves, but instead trust in Dr. Soleymani enough to refer their patients to him. Whether patients need high-quality periodontal care to ensure that they have the best oral and overall health, or dental implants in Santa Monica to complete or preserve their smile, Beverly Hills Periodontics & Dental Implant Center is here to provide exceptional care.